Matthew had called her harmless. harmless. 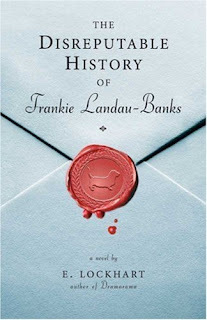 And being with him made Frankie feel squashed into a box--a box where she was expected to be sweet and sensitive (but not oversensitive); a box for young and pretty girls who were not as bright or powerful as their boyfriends. A box for people who were not forces to be reckoned with. This is one amazing book. Frankie is definitely a force to be reckoned with, and she's so... detached. I love it.